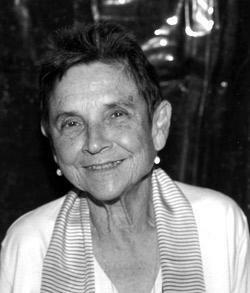 Adrienne Rich: How her work changed American poetry. Adrienne Rich’s death leaves a hole in the culture that can’t easily be filled. Photograph by Lilian Kemp/California State University at Los Angeles. To read Rich at her best is to be gut-punched and brain-teased at the same time—a teaching both cerebral and visceral. What sets Rich apart from her generation of feminists is not just her highly trained formidable intelligence—matched by only a few of her peers—but the way her career dramatizes the awakening of a radically individual voice. Rich was both a poet and an essayist, and her cross-genre forays allowed her to capture women’s growing consciousness of their oppression more significantly (and persistently) than any other writer I know. She was always searching for a new and better language, a fresher, less derivative art. Rich began her career as a precocious formalist. Her first books, A Change of World and The Diamond Cutters, demonstrated an ornamental mastery of traditional forms; she then made the radical choice to reject them and find her own path. Easily said, not so easily done. One of the strangest and most enduring gifts of her work, really, is the way its trajectory embodies just how hard the journey was. Because she was a prodigy who published her first book when she was 22, her readers are granted an unusually full view of the complicated evolution of her work. No American poet has so fully created a body of work constellated around the notion that change is essential to being free. If A Change of World is mostly juvenilia, nonetheless Rich’s concerns are vibrantly alive in the shadows. Over and over one encounters in her early books the words that became the mature Rich’s touchstones: “will,” “change,” and “choice.” “The moment of change is the only poem,” she later wrote. Rich’s own radicalism didn’t come easily, or instantly, and it’s worth remembering how much of a risk it may have been to set out on the journey of pulling away from her more conventional habits, both artistic and personal. As she put it, speaking of her second book, “many of the poems in The Diamond Cutters seem to me now a last-ditch effort to block, with assimilation and technique, the undervoice of my own poetry.” Like many, I find her career to be a fascinating demonstration of the importance of never silencing “the undervoice” of your own impulses. It was only over the next 10 years that she allowed herself to become an anti-war protester, a host to Black Panther events, and—after her husband committed suicide, tragically, in 1970—a woman who openly loved women. And she began the work that ranked among her most iconic, including The Will To Change, Diving Into the Wreck, and Twenty-One Love Poems. To be ‘like other women’ had been a problem for me. From the age of thirteen or fourteen, I had felt I was only acting the part of a feminine creature. At the age of sixteen my fingers were almost constantly ink-stained. The lipstick and high heels of the era were difficult-to-manage disguises. In 1945 I was writing poetry seriously, and had a fantasy of going to postwar Europe as a journalist, sleeping among the ruins in bombed cities, recording the rebirth of civilization after the fall of the Nazis. But also, like every other girl I knew, I spent hours trying to apply lipstick more adroitly, straightening the wandering seams of stockings, talking about ‘boys.’ There were two different compartments, already, to my life. But writing poetry, and my fantasies of travel and self-sufficiency, seemed more real to me; I felt that as an incipient ‘real woman’ I was a fake. The risk of being a polemicist and a revolutionary is that one’s art suffers, and Rich’s lesser poems can bring to mind the Yeats truism “Out of the quarrel with others, we make rhetoric; out of the quarrel with ourselves, we make poetry.” But it’s easy to focus on the lesser work as a way of turning away from what is most bracing (and difficult) about her. While some of her later poems feel less urgent to me, others, like “What Kind of Times Are These,” from Dark Fields of the Republic, haunt my thinking as a poet about how to locate the outlines of an aesthetically satisfying and uniquely American political verse. And as her most recent book, Tonight No Poetry Will Serve, reminds us, Rich always remained a beautiful writer of quietly intimate, charged lyric poems, though they get less attention than her political pieces. Rich wrote, “You must read, and write, as if your life depended on it.” It’s a hard thing to say in this day and age. Yet her work reminds us that it is in fact possible for literature to express and movingly embody what she called “the will to change.” “Your silence today is a pond where drowned things live,” Rich wrote in Twenty-One Love Poems, her first poems about lesbian eros. Her work made that pond of silence a smaller one, in so many ways. Women’s lives, it’s safe to say, are still unduly influenced by the host of conflicted ideas noisily voiced about what it means to be a woman (and how much right a woman has to determine that meaning for herself). Rich once wrote, perhaps partly in response to all that noise, “I choose not to suffer uselessly.” Today, we can say that her suffering, public and private, was nothing if not useful.